My friend Kate’s birthday was coming quickly and I didn’t have a clue what to give her for her special day. With a bit of luck I found out that she doesn’t have a sewing machine cover for her new Bernina. 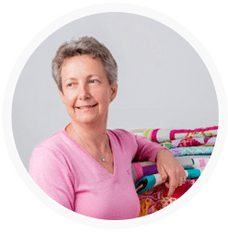 Kate is a lover of all Kaffe Fassett fabric designs (same as me). 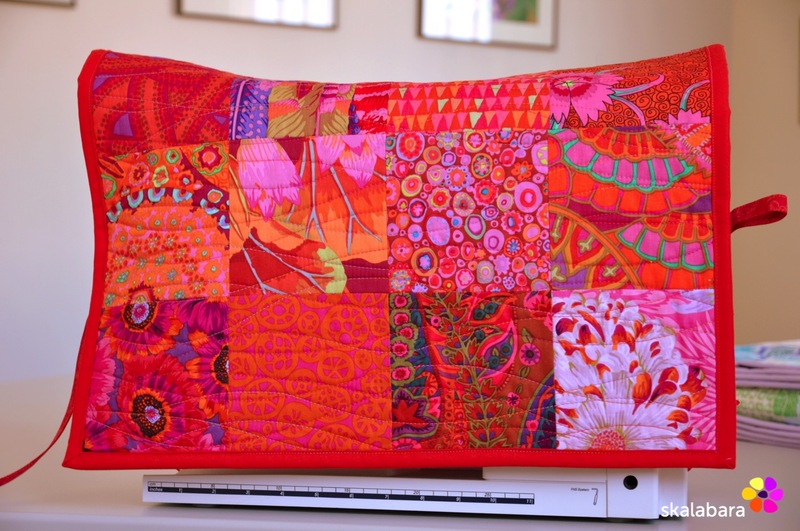 So this was an easy decision to make : quilt a colorful sewing machine cover. Fabric choice was all clear. But what about the pattern? Normal piecing, paper piecing or even appliqué design? 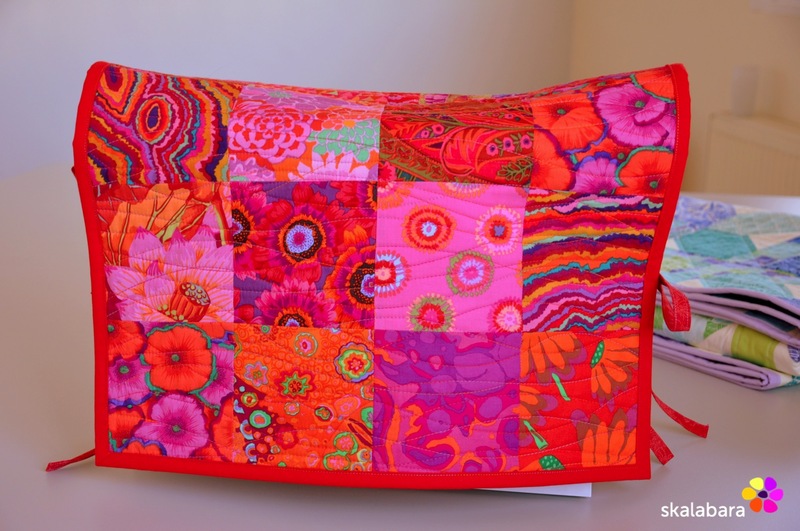 At the end it was a n easy decision : I prefer colorful fabrics and easy patterns. 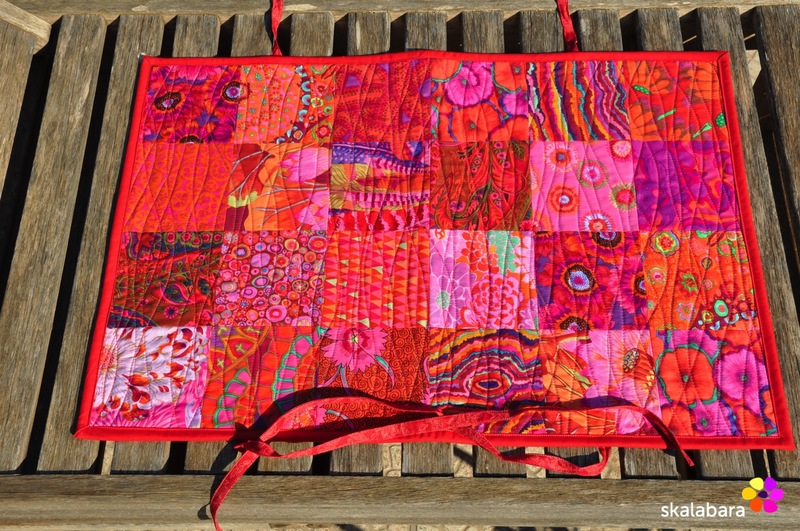 So I took measurements of my Bernina and went for squares – charm pack size 5″ x 5″. A layout of 4 x 6 rows, i.e. 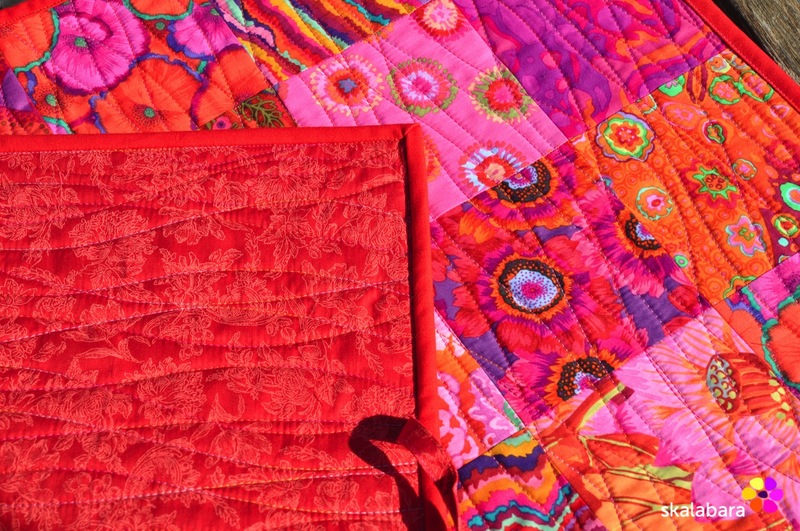 24 different squares all in bright reds, pinks and oranges. 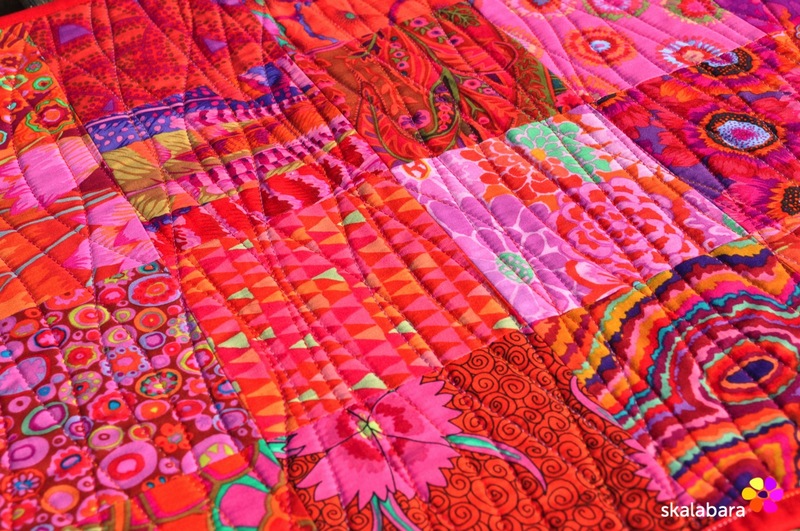 This entry was posted in blocks, patchwork, quilts, small projects and tagged finished quilt, Kaffe Fassett, machine quilting, quilting.